Kullu Manali is famous for their panoramic natural beauty and splendor. Tourism in Kullu Manali is developed in such as way that it gives you a chance to see the intricate mountain valleys, lush pine groves, flowing brooks and many such eye soothing attractions. When you Travel to Kullu Manali you can enjoy breathtaking ice skating, sight seeing to the destinations like Raghunathji Temple, Vaishno Devi Temple, Akhara Bazar, Vashisth Hot Sulphur Spring, Rohtang Pass, Hadimba Temple and so on. 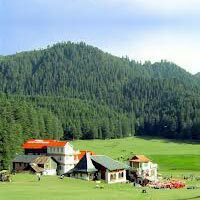 Besides, we are engaged in providing highly acclaimed Kullu Manali Tour Packages at very affordable rates. It is believed that Raja Jagat Singh of Kullu committed some wrong so atone for the sin he built this temple with a statue of Lord Raghunath - Lord Ram. This temple is famous for its 20m high metal rod periodically drawing lightning, which destruct the 'Shivalinga'. The 'linga' is then carefully pieced together using only butter as adhesive. The 9th century lord Shiva Temple is renowned for its convoluted stone carvings. 4-km along the Kullu Manali road this temple is one of the most popular Hindu Shrines in India the idol of goddess Vaishno or Durga is enshrined in a small cave here. This is famous as one of the main local bazaars, Kullu caps, shawls, 'pattoos', gudmas, 'puhlas' and 'namdas' or rugs can be purchased here. This palace is a fine example of the Kullu style of miniature painting that is distinguished by simple rural scenes. Hadimba or Dhungiri temple is one of the most important temples in Manali. This four-story wooden temple is situated in the midst of the forest Dhungiri Van Vihar. This Gompa lead the Tibetan area at the bottom of Manali. The Tibetan refugees built the Gompa in the late 1960's. The old Manali area is 3-km away from the present day Manali. The old Manali is abundant with guesthouses reflecting ancient aura. Manali is named after the famous saint Manu who meditated here. A stones path leads through the old village where the temple of Manu is situated. This is the highest point on the Manali-Keylong road approximately 4,112m high. You can enjoy a wide panoramic view of mountains peaks rising far above clouds on this altitude. The 'Arjun Gufa' or the cave of Arjuna is situated on the left bank of the Beas. It is believed that Arjuna practiced austerities to get Pashupata Ashtra from Lord Indra.